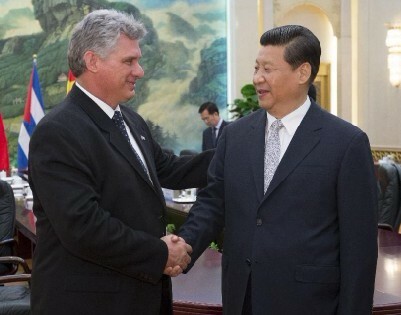 Chinese President Xi Jinping on Tuesday met with Miguel Diaz-Canel, Cuban first vice-president of the councils of state and ministers o June 18. Xi asked Diaz-Canel to convey his greetings to Cuban President Raul Castro and former leader Fidel Castro. During the meeting, Xi reviewed the growth of China-Cuba relations since the two countries forged diplomatic relations in 1960, particularly the increasingly mature relations and robust cooperation since the beginning of the 21st century. The Communist Party of China (CPC) and the Chinese government cherish its friendship with Cuba. It would like to maintain bilateral high-level exchange of visits, increase party-to-party exchange and experience sharing on state governance, enhance political trust, deepen mutual understanding, expand pragmatic cooperation and promote their own development and common prosperity, Xi said. China would like to work more closely with Cuba on international and regional issues and promote fairness and justice of the international community, Xi said. Xi said he witnessed vigor and potential of the Latin America and Caribbean region during his visit earlier this month. China would like a good partnership with Latin American and Caribbean countries, featuring political trust, economic cooperation and cultural mutual learning, Xi said. The Chinese leader called for stronger cooperation between China and Latin America through a comprehensive cooperation mechanism with China-Latin American Cooperation Forum at the core. China appreciates Cuba's efforts to promoting China-Latin America relations and expects growth of relations during Cuba's role as the rotating chair of Community of Latin American and Caribbean states. Diaz-Canel conveyed the greetings of Cuban President Raul Castro and former leader Fidel Castro to Xi. Diaz-Canel said Cuba places great importance on building ties with China, pledging to enhance high-level visits and communication, expand mutually-beneficial cooperation and seek growth of ties between the two countries and relations between China and Latin America. 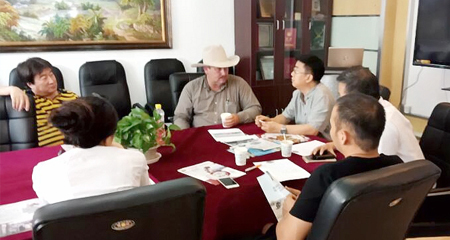 Diaz-Canel will conclude his three-day China visit on Wednesday.